Update 24: Explore the all new dungeon – The Dregs! A massive and ancient aqueduct leads water from the mountains down to the Unnamed city. A vast sewer system was built to carry the city’s refuge and waste into the southern river system. Ages ago, dark and dangerous sorcerous experiments were performed in the Unnamed city, and their remnants and leftovers were also flushed down into the tunnels beneath the city. The Unnamed city fell into ruin long ago, and now only dark and terrible creatures wander its cursed streets. But something malevolent and powerful also lurks in the shadowy sewers beneath the city. 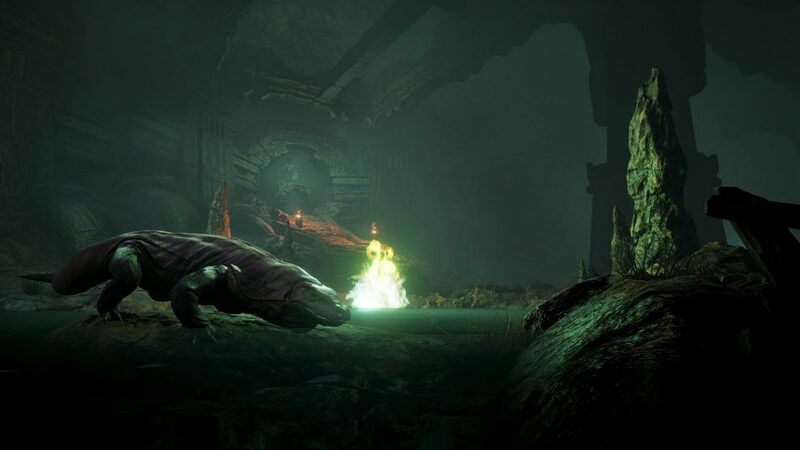 Disturbing whispers can be heard in the deep tunnels – whispers which call on you to explore deeper and deeper. Do you dare to enter? Dare explore the dank sewers in search for power and glory? In ancient times, slaves got the horrendous task of cleaning and clearing out this horrible place shrouded in eternal darkness. It became known as The Dregs. A beastly ritual is needed to open the dungeon, and a spiral staircase will lead you down into the darkness below. You must fight your way through all new albino komodos, who have grown strong in the unnatural waters from the city above. The undead also dwell in this place, making any place which is filled with the corrupting powers of dark magic their home. The sewers have a series of valves and levers which can flood certain chambers. This was used by the slaves so they could clean the tunnels, but it is now your task to navigate these obstacles and figure out the mechanics needed to advance from chamber to chamber. Something far more dangerous than komodos and undead has made this place its home though. If you can brave the challenges and solve the puzzles you will eventually come face to face with the grotesque and insidious being called the Abysmal Remnant. Emerging from its fetid pool, this massive creature will attack with sprays of lethal acid and bite with crunching jaws filled with huge teeth. The monster may be daunting and tough, but if you are able to defeat it great rewards await. The Dregs offers both new challenges and new rewards. By exploring the dungeon, you will learn new recipes and discover new resources. The dungeon is very dark, so you will need torches, but the sewers are also filled with water which snuffs the torches out. In The Dregs you can find a new type of resource and recipe which allows you to make glowing sticks which do not get extinguished by water. You can also learn how to make a new type of armor from the hides of reptiles, like crocodiles and komodos. This is a medium armor and you will learn the new recipes for it in The Dregs. We are however introducing a new system for making medium armor (the system will follow later for light and heavy). You will now also need to know how to make the padding or lining for the armor (something which the regular medium armor recipes now teach you), before you choose which type of medium armor you want to make. Think of it like making a frame for the armor before choosing the type of outer layer. You can find a new sword and dagger plus new sets of bolts and arrows in The Dregs. 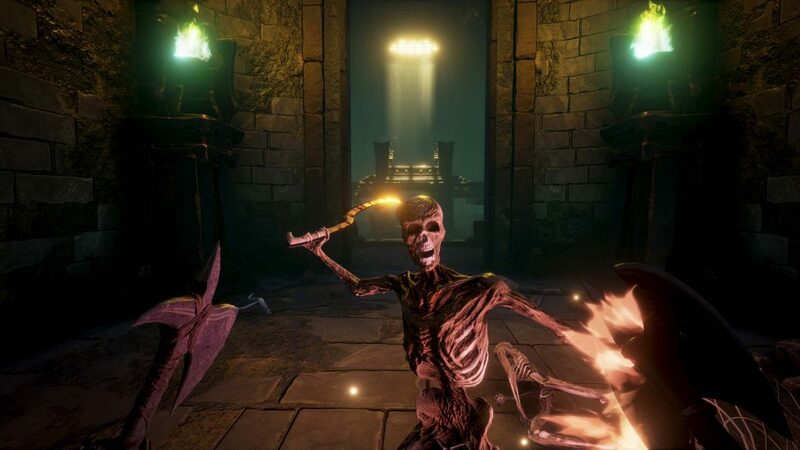 The dungeon is made for early to mid-level characters (between 10 and 20), but with all the new recipes and rewards, it can be well worth it for any level character to make a visit. A faint whisper is calling on you to enter The Dregs. Are you ready for what awaits in the darkness? ← Join the Exploit Hunters!